The A to Z of Urban Development in Tampa! Hey everyone...Travis here with an update about the economic and urban development of the City of Tampa! 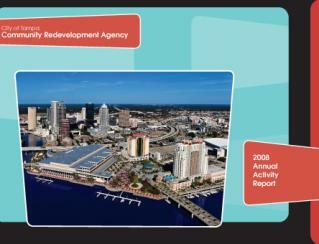 The City&apos;s Community Redevelopment Agency just came out with their 2008 Annual Activity Report for the development of Tampa. This annual report highlights the past, present and future projects within the CRA areas...so all of you development people out there need to take a look! To access the reports, click here and take a look! Plus, while you are there, you can access previous year&apos;s reports and see what&apos;s happened in the past and see if they&apos;ve kept up with what they have projected. I&apos;m thinking that this can be a valuable tool as we continue to focus on sustainability and making Tampa a great place for years and years to come. And as always, keep checking back for more great things to do in Tampa Bay, as well as updates about Tampa Tourism activities. We&apos;ve got some very cool Tampa Bay events coming up...so stay tuned!